September 24 marks World Gorilla Day, when humanity celebrates one of its closest relatives, sharing 98 percent of our DNA as we do, plus we also have a common ancestor that lived not too long ago in evolutionary terms, around 10 million years ago. All species of gorillas are critically endangered according to the Red List maintained by the International Union for the Conservation of Nature (IUCN), but that does not mean there’s no hope for these species. 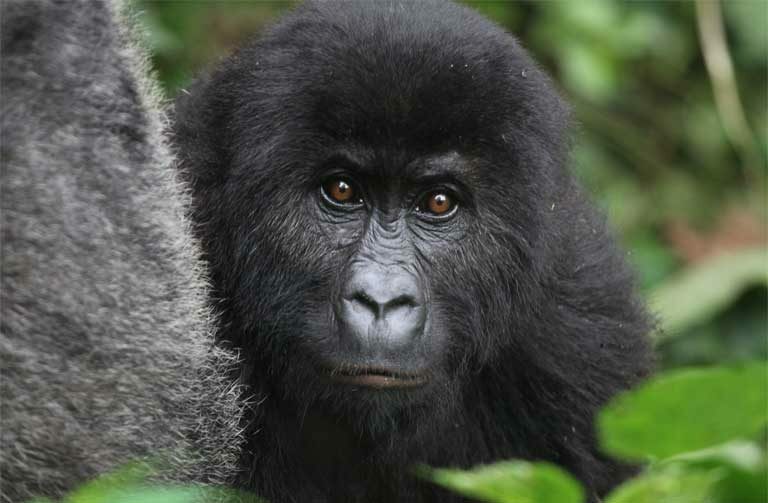 Below are six recent Mongabay features sharing both good news and areas of worry for gorillas. 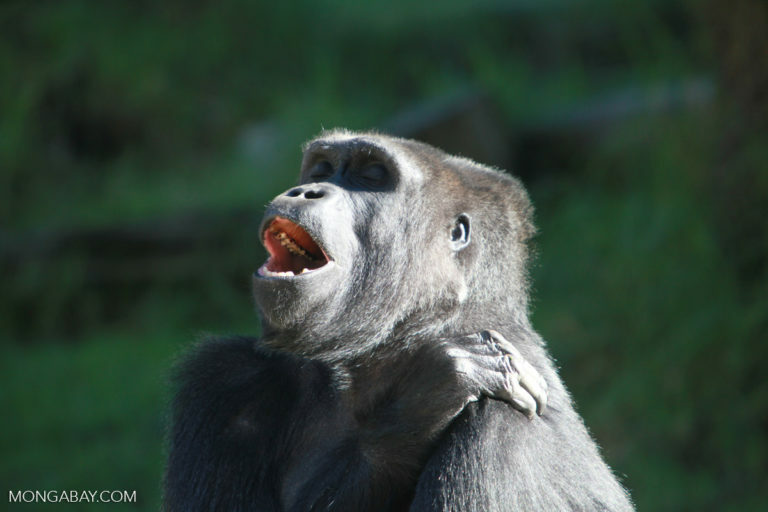 Visit our Great Apes series for more information and news on these and other great apes. 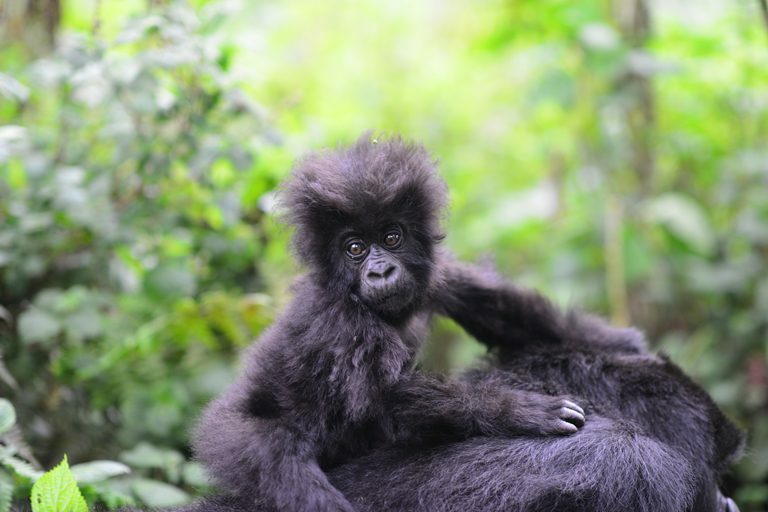 Mountain gorilla infant. Photo courtesy of the Dian Fossey Gorilla Fund. According to the results of a census released in May 2018, the mountain gorilla (Gorilla beringei beringei) population in East Africa’s Virunga Mountains numbered 604 as of June 2016, up from from 480 in 2010. The population hit an all-time low of 242 individuals in 1981. The mountain gorilla is a subspecies of the eastern gorilla with two distinct sub-populations: one in the Virunga Mountains and another in Uganda’s Bwindi Impenetrable National Park. A census conducted in 2011 found approximately 400 gorillas living in Bwindi Impenetrable National Park, meaning that the total number of mountain gorillas is now believed to be more than 1,000 individuals. Read more here. Gorillas live in an area of Democratic Republic of the Congo set to be opened for logging. Image by Rhett Butler for Mongabay. An investigation found that the Democratic Republic of the Congo (DRC)’s environment ministry has handed over control of three logging concessions in Congo Basin rainforest to Chinese-owned logging companies. Two of these concessions are located in a massive peatland – the largest in the tropics – that was discovered last year. Fourteen more concessions are expected to be awarded to companies in the coming months. The DRC government is also reportedly planning to declassify large portions of Salonga and Virunga national parks to allow oil exploration. Virunga is one of the last bastions of critically endangered mountain gorillas. Continue reading here. 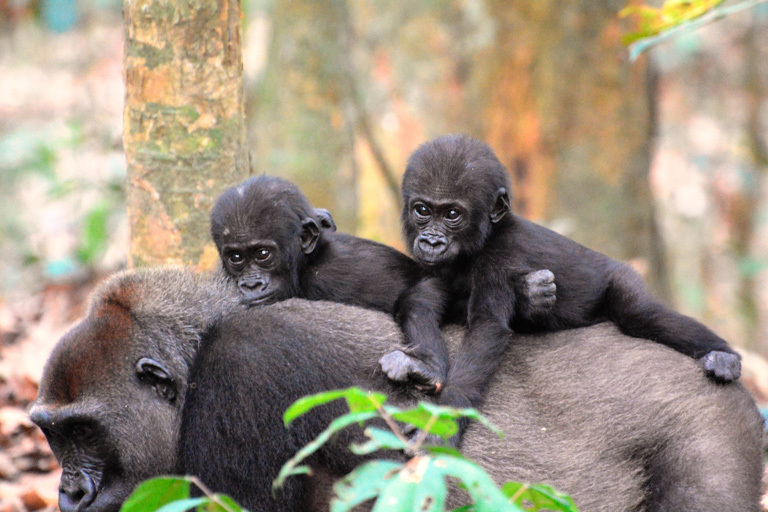 Infant western lowland gorilla twins riding on their mother’s back when they were a year old, in Bai Hokou, Central African Republic. Image by Terence Fuh Neba/WWF Central African Republic. A study led by Wildlife Conservation Society researchers pulled together wildlife survey data collected between 2003 and 2013 at 59 sites in five countries across western Central Africa, and found that more than 361,000 western lowland gorillas and almost 129,000 central chimpanzees (Pan troglodytes troglodytes) inhabit these forests — about 30 percent more gorillas and 10 percent more chimpanzees than previously estimated. Read more about this discovery here. Great ape poaching, which supplies growing urban and rural bushmeat markets, is now at crisis levels across Central Africa, and despite conservationists’ efforts, is showing no sign of slowing down. Vast networks of logging roads, modern weapons, cell phones, cheap motorized transportation, and high demand for wild meat in urban centers is driving the booming bushmeat market. Africa’s great ape sanctuaries rescue some survivors, and active outreach to local communities offer a partial solution. Educational programs for children and adults, teaching the value of great apes, are seen as essential. Continue reading here. A mere 15 Grauer’s gorillas (Gorilla beringei graueri) were believed to live inside Africa’s Maiko National Park, but biologists suspected otherwise. The preserve’s nearly-impassable jungle could surely shelter more of the Critically Endangered great apes in deep gorges in the shadow of precipitous peaks, they thought, and they were correct. More about this discovery here. Ongoing violence in the DRC has taken a heavy toll on the country’s women, with sexual violence there gaining the DRC a label as the “most dangerous place to be a woman.” The nation’s civil strife — along with bushmeat hunting and human encroachment — also threaten its wildlife, especially gorillas, bonobos and chimpanzees. Meanwhile, only about 3,800 Critically Endangered Grauer’s gorillas remain in their DRC homeland. But now, DRC women are overcoming their own difficulties, and with a novel assist from international conservation organizations, are coming to the rescue of Congo’s great apes. 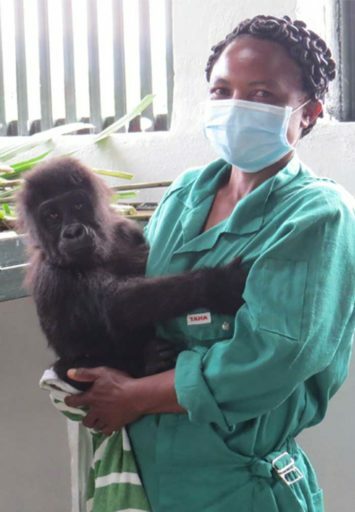 The Bonobo Conservation Initiative (BCI), Gorilla Rehabilitation and Conservation Education Center (GRACE), the Jane Goodall Institute (JGI), and Coopera are all working side-by-side with local women to help advance great ape conservation through education, empowerment, access to health care and food security. 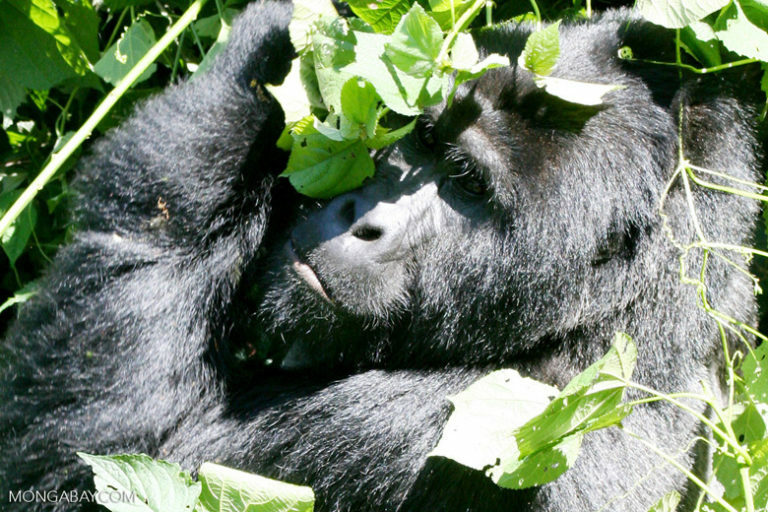 Read this story here, and find all of Mongabay’s coverage of gorilla conservation here.